Most of us can easily fall into simple categories without much thought. For example, there's "people who like peanut butter," and then there's "peanut butter people." (I'm a peanut butter person.) There's people who wear tank tops," and then there's "tank top people." Oh you know who you are. There's "people who like museums," and then there's "museum people." (Basically every Maggie Smith gif applies.) As a totally unbiased bystander, I can say without a shadow of a doubt that you don't have to be a "museum person" to love quilt shows. In fact, quilt shows are amazing and for everyone and you would have to be nuts not to love them. When it comes to quilt shows, there's only "quilt show people." 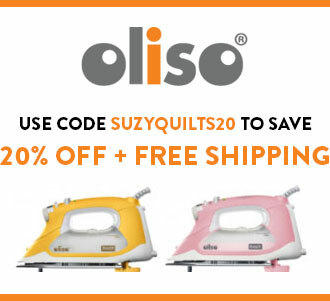 Check out the best sewing gear for quilters and crafters! Don't believe me?? Let me prove it. 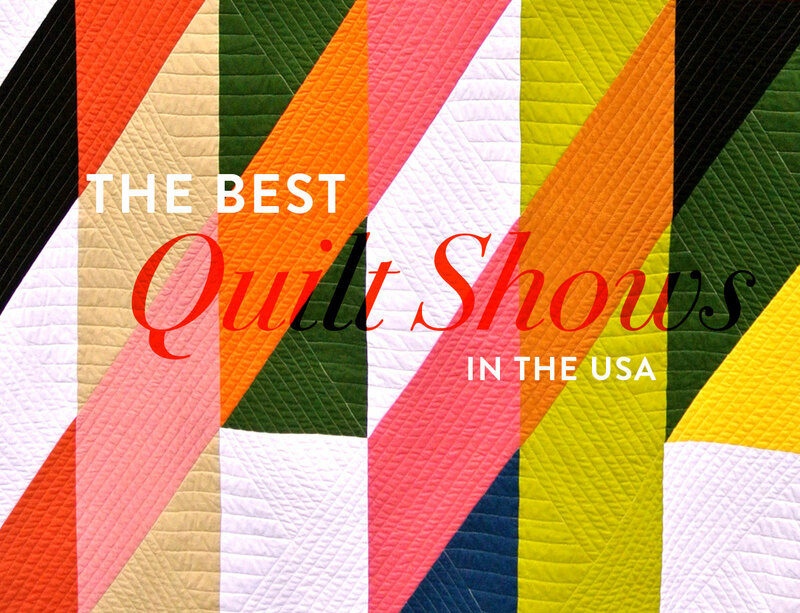 I have compiled a list of the best quilt shows all across the United States. 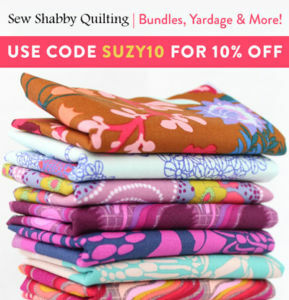 Take a look at some of these stunning pictures and try to tell me that you're not a quilt show person. 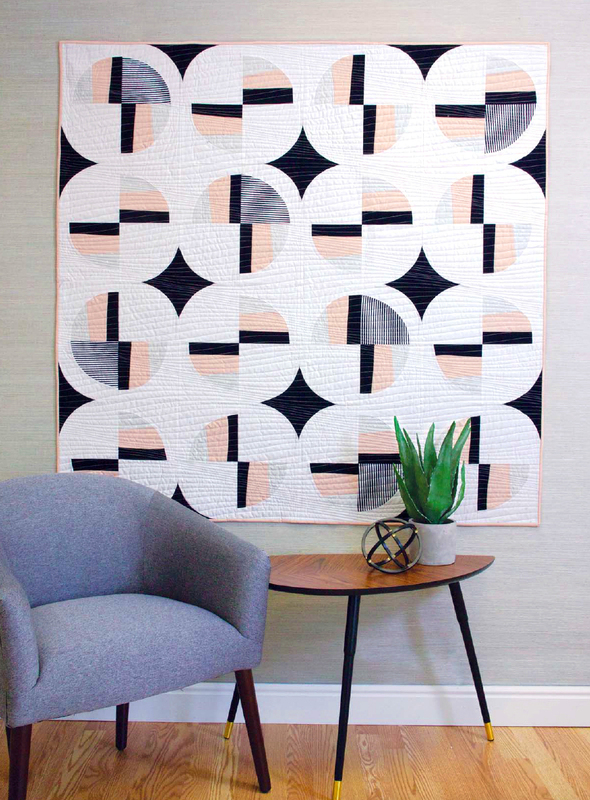 This annual modern quilt show falls at the end of February and switches location from the West side to the East side of the USA. In 2017 the festival was in sunny Savannah, GA and in 2018 it will be located in Pasadena, CA. 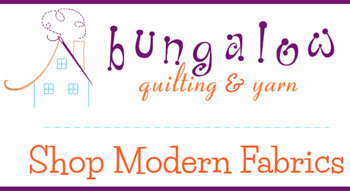 Now, you’ve heard of ComicCon… but it’s not even close to as exciting as QuiltCon. 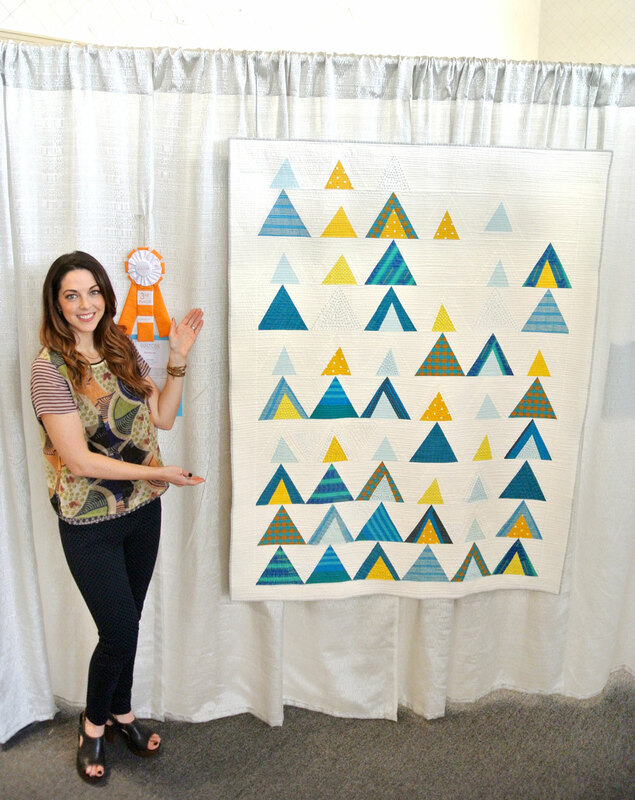 QuiltCon, which is presented by The Modern Quilt Guild, is the largest modern quilt show of its kind. And what kind is that, exactly? 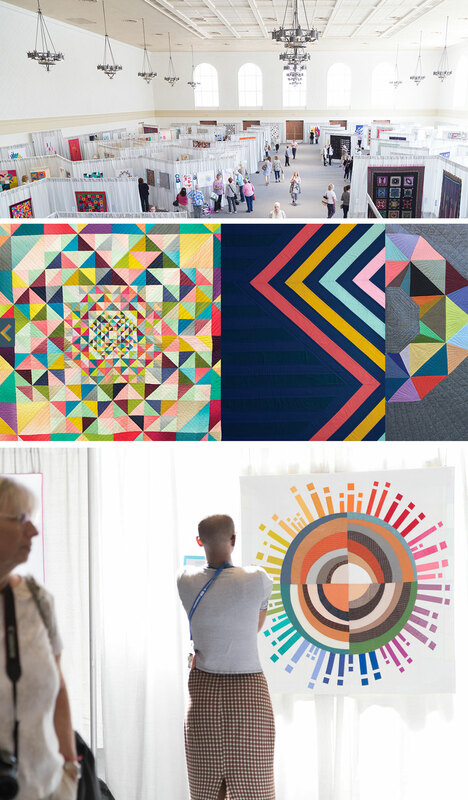 A show of hundreds of modern quilts from around the world, attended by thousands of people. Sounds like a party, right? 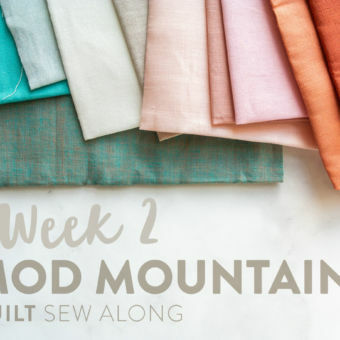 And if acres of gorgeous quilts on display aren't enough to entice you, there are also workshops, lectures, and amazing vendors so you can sew and shop your heart out. I've attended QuiltCon twice now and have showcased three quilts each time. Here's a pic of me cheese'n with my third place winner, Mod Mountains, from 2016. 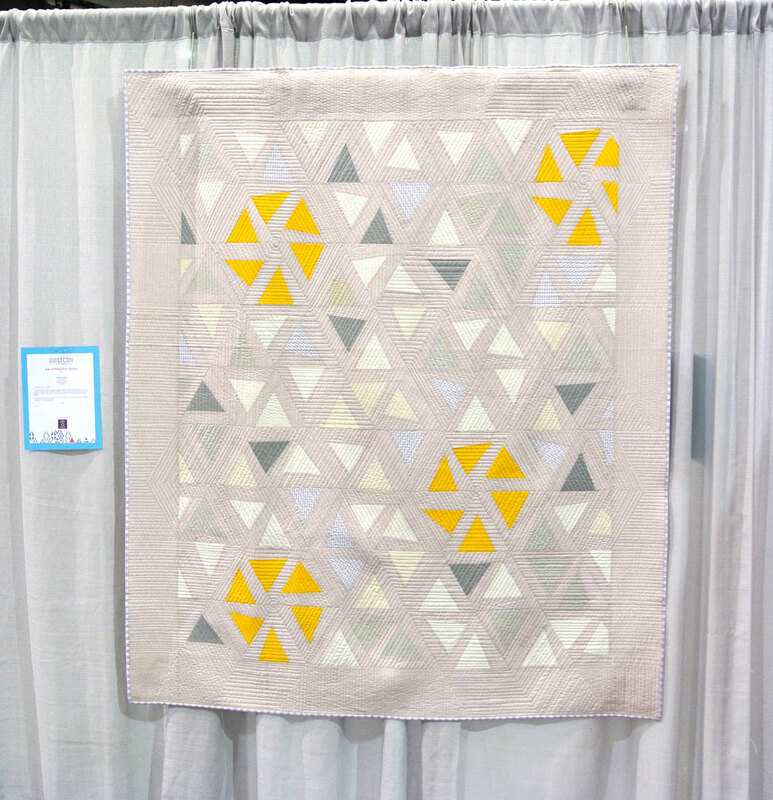 My Modern Fans quilt was displayed in both the exhibit and as a pattern in QuiltCon Magazine 2016. Before moving on, here's a shot of my Gingham Spring quilt hanging in the Savannah show in 2017. 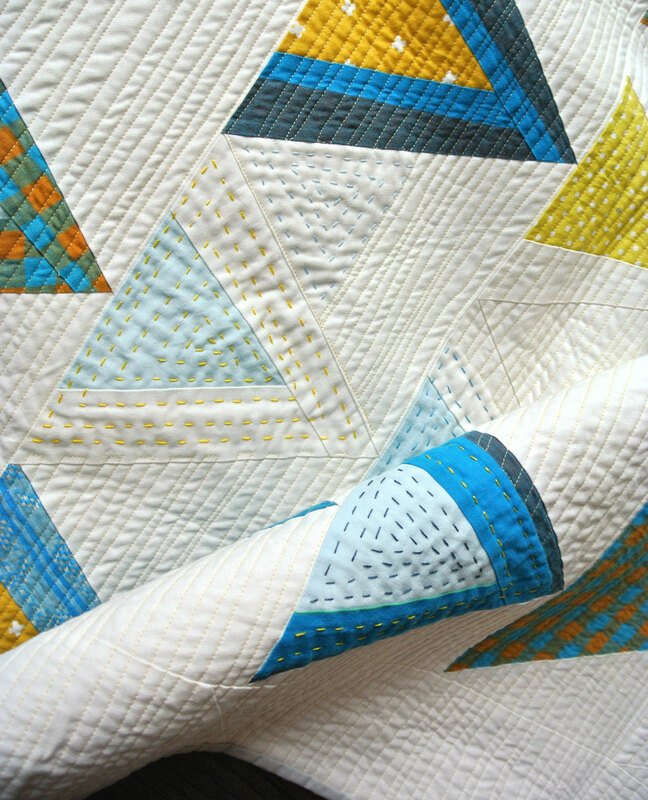 You can see more closeups of this quilt here. 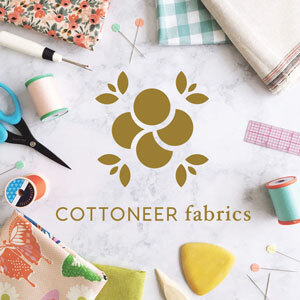 Now, you may have heard that people often dress up in elaborate costumes for ComicCon… so I want to know what quilty costume you would wear to QuiltCon. Or maybe we need to just combine these two worlds and create a "Con" for quilting superhero? Yes. Someone get on that. The World Quilt show in New England is home to the coolest and craziest quilting challenges out there, like their famous Wearable Art category, and the Quilters Treasure Challenge (this year’s theme was “Going Green.”) You may have missed this year’s show in Manchester, New Hampshire, but the winners can be viewed on Quiltfest’s website, if you want to get a little taste of what you missed. There’s nothing quite like viewing amazing quilts in the company of amazing quilters in an area of the country so rich with quilting history. And a Wearable category? I have to see that. 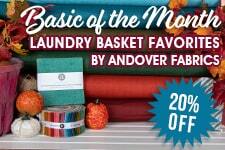 If you live far away and can't get to New Hampshire, no sweat! These World Quilt Festivals happen all over the USA from Orlando, FL to Santa Clara, CA. My Version of a Persian, Christine Wickert, Best in Show Quiltfest 2015 New Jersey. Photo by Barbara Schaffer. The Sisters Outdoor Quilt Show in Sisters, Oregon is known affectionately by its quilt-obsessed fans as SOQS… but don’t pronounce it “socks” because that’s super confusing. 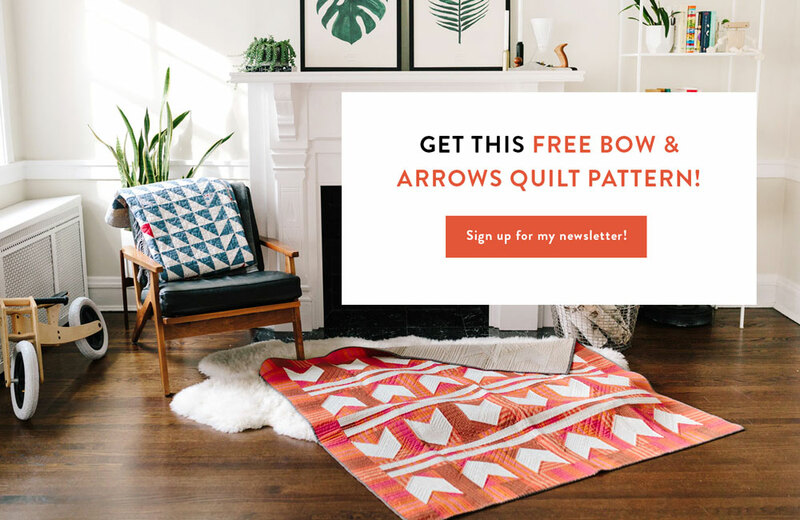 If you're on Instagram, Facebook or are a browser of quilt message boards, you’re already familiar with this diverse quilt show. It’s not a huge city, but Sisters becomes a bustling metropolis during the exhibit with over 10,000 visitors from over 25 countries. It’s a once in a lifetime experience for traditional and modern sewers, first-time quilters, younger quilters, artists, crafters, locals, non-locals, you name it! This show is truly for everyone in every sense. One more factoid to convince you – SOQS is internationally recognized as the world’s largest outdoor show with more than 1300 quilts on display. So get your sunblock, grab a hat, and go! Oh, and don’t forget to wear socks. Especially if they’re quilted. In fact, enter those in the Wearable category in New England next year. The entire town of Paducah, Kentucky is completely transformed during its annual QuiltWeek, welcoming 30,000 visitors that hail from all over the globe – from Paris to… Paducah! With 400 booths, workshops, and lectures, Paducah is one of the most loved quilting conventions in the country. According to Paducah Superfans, this show really embodies the “spirit” of quilting, and everyone in the town, whether they’re serving cocktails or fighting fires, loves to get in on the action. Hopefully there’s no quilt fires… but I’d take a quilt cocktail. I forgot. Pure and simple! And the fact that I forgot should show you how scatterbrained I have been lately because this festival is basically going on as I am writing this blog post. Quilt Festival Houston was actually one of the main reasons I scheduled this blog post to be published in late October. Please forgive me, wonderful readers? My forgetfulness is in no way a reflection of this breathtaking quilt show. I'm about to embarrass myself even more because of this one fact I'm going to share. Uuuuuuhhhgg...I almost don't want to share it because then you are going to roll your eyes and mummble, "How did you forget about Houston?" Let's just rip it off like a band-aid – the international Quilt Festival in Houston is the largest annual quilt show, sale, and quiltmaking academy in the world, attracting more than 60,000 people! So go if you can, and let's just forget that I ever forgot to mention it. Deal? 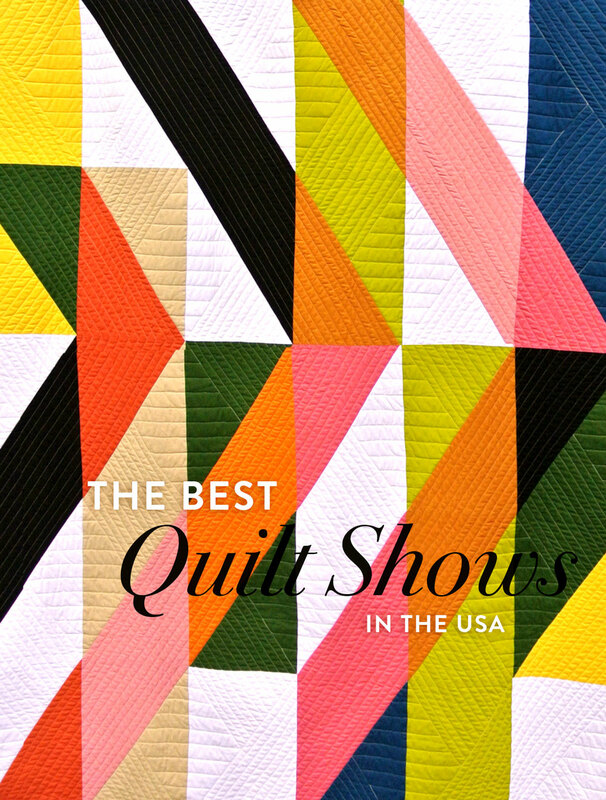 This is definitely not an exhaustive list of all of the amazing quilt shows out there! Do you have a local show you love? Inside scoop on shows you’ve attended! Let us in on the info in the comments below! How could you leave out the Houston Quilt Show? 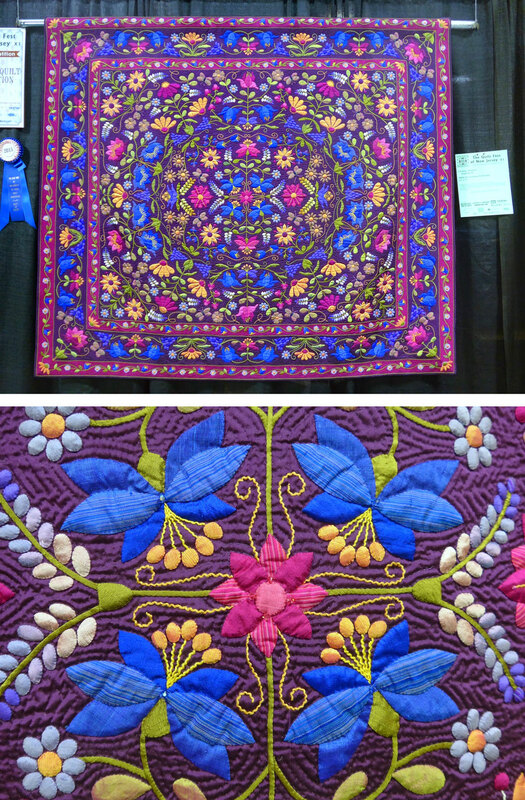 It’s probably the biggest Quilt show in the country and always has fantastic quilts. You got that right, Betty. Leaving out the Houston International Quilt Show is a sacrilege! Great blog post! I went to QuiltCon this year (in Savannah) and it was fantastic! Best. Time. Ever! I loved every minute of it! 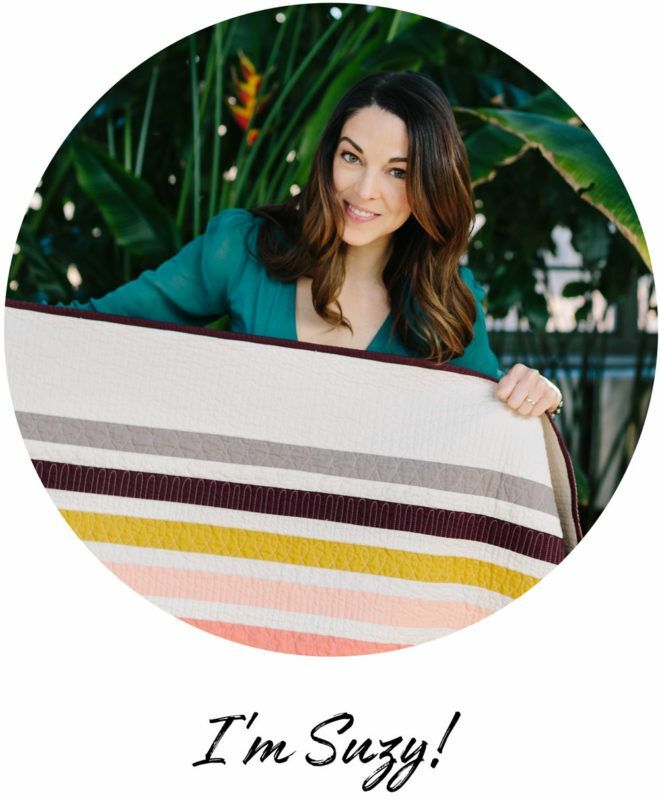 Stunning quilts and wonderful classes/lectures. I’ve always wanted to go to Paducah, maybe someday. Right now, I’m saving up for QuiltCon 2019, in Nashville…can hardly wait…I’m already practicing my twangy accent and breakin’ in my two-step dancin’ boots! I went to Pacific International Quilt Festival a few weeks ago in Santa Clara. The quilts/quilt clothes were half of the show. There were so many great quilts. While they do offer classes, my sisters and I have never taken one. We enjoy all the vendors as you can find things there that you cannot find locally. My favorite “local” show is International Quilt Festival in Rosemont. Granted, the Houston version of the show is much larger, but the Rosemont show is home to me. I can’t believe I still haven’t gone to that one! Somehow I seem to either have the flu or be out of town. Maybe 2018 is my year! I have been to the Tokyo International Quilt Show in Japan. It happens in January in the Tokyo Dome. Oh I bet that is stunning!! 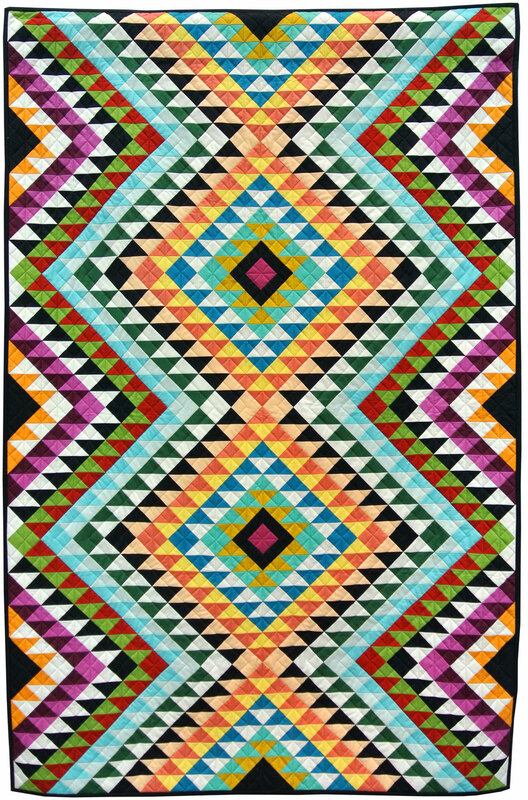 Quilt show in Houston is not to be missed. The open area for display allows visitors to actually enjoy the quilts. Sadly, it is also the most expensive show I ever travel to, but very enjoyable. It’s an amazing show and I just added it to the list. Thanks for the suggestion! Thank you for your list! I am having to miss the Houston show this year and am actively trying to convince my husband I need to make the Chicago show in the spring. Would you suggest making one of these others instead? I look forward to looking into these other shows now that I know about them. Personally, QuiltCon is my favorite because of the vast amount of modern quilts. Houston is amazing though, so definitely go if you can make it. I was very excited to go to Quiltcon in Savannah this year! 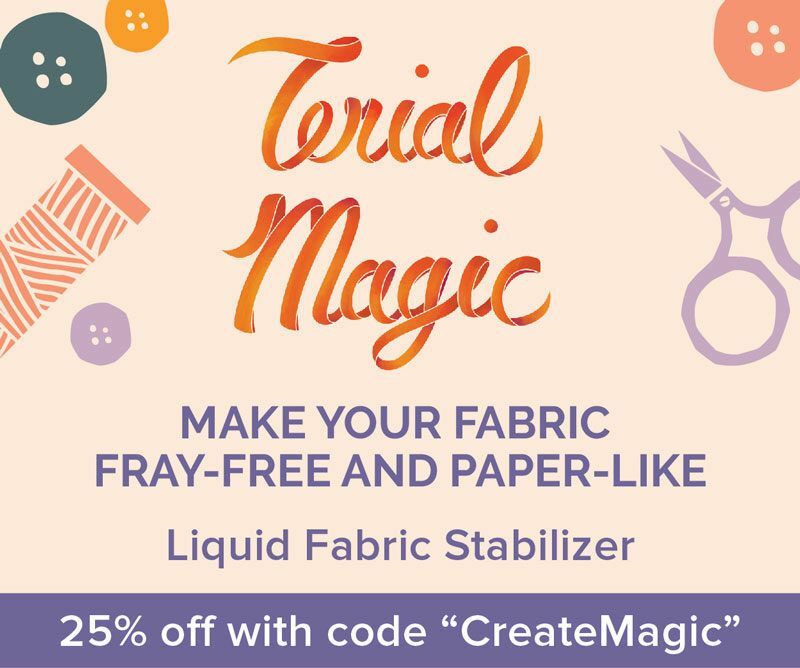 And now I’m saving to go to Quiltcon 2019 in Nashville! I think the best thing to wear to a quilt show is a handmade dress – which is what I’ll be wearing to the Modern Quilt Show Australia, which is happening in Sydney at the beginning of November! 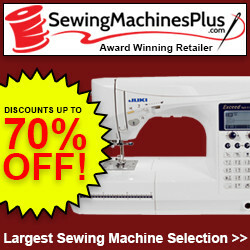 If you’ve got the skills to make your own clothes, you most definitely need to show that off! I went in Paducah in 2015! It was awesome! 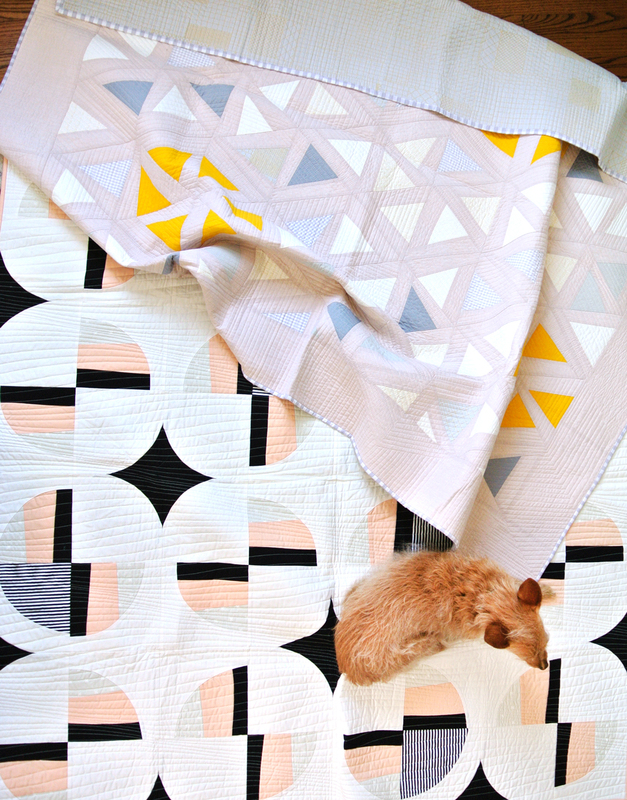 French quilt show are so small ! In french, we say “we don’t play in the same playground!” I hope I could go to Quiltcon some day! I used to throw pottery. I went to the Houston International Quilt Show and it totally blew me away. 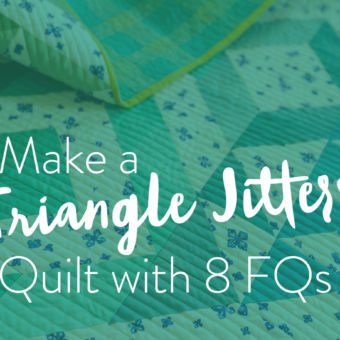 Soooo many quilts! That quilt show inspired me to switch from pottery to quilts (do not have the room to do both.) 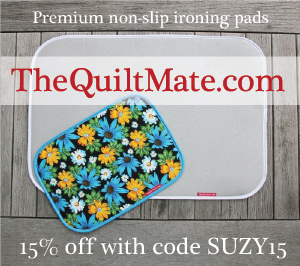 I became a novice quilter that year and a fabric addict! 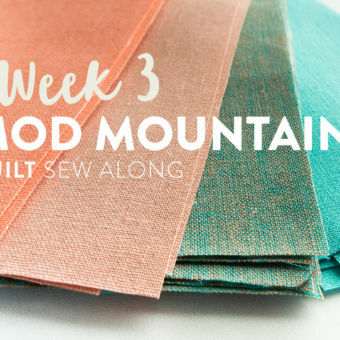 I love your mod mountains quilt, the way you combined machine quilting and an embroidered look. Fabulous! I am interested in hosting a local quilt show, although i am not a quilter, i just love to look at them in awe. Do y’all have any suggestions? I am in a suburb county north of Dallas, Tx. I have an outdoor and indoor venue and a date of April 28, 2018. Hi. I have over 30 of my mother’s new handmade quilts which I would like to display and sell. She passed a few years ago. This is so emotional for me. If she was sitting down there was a quilt project in her hands. 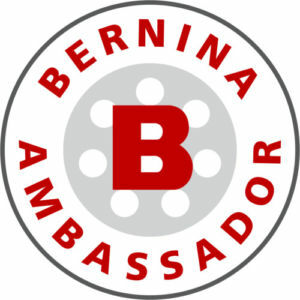 Do you have an idea of how to get started?